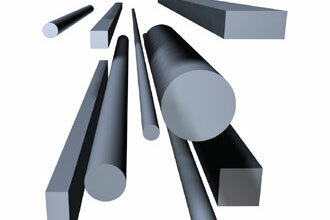 NAC maintains a substantial inventory of standard carbon and graphite rods and blocks. Unlike other manufacturers, we produce our standard sizes in 1/4" diameter increments. In addition, we offer custom cut sizes and can manufacture graphite and carbon to your specifications. NAC Carbon Products' grades are equivalent to many discontinued Carbide/Graphite Group (CG) products as well as other manufacturers' grades. Diameters - 1/8" to 5 1/2"
Diameters - 1/8" to 6"
Diameters - 2" to 6"
Widths – up to 16"
Heights – up to 32"
Lengths – up to 100"